Editor’s Note: The following is an article from Reason Magazine, originally published in the December 1972 issue. 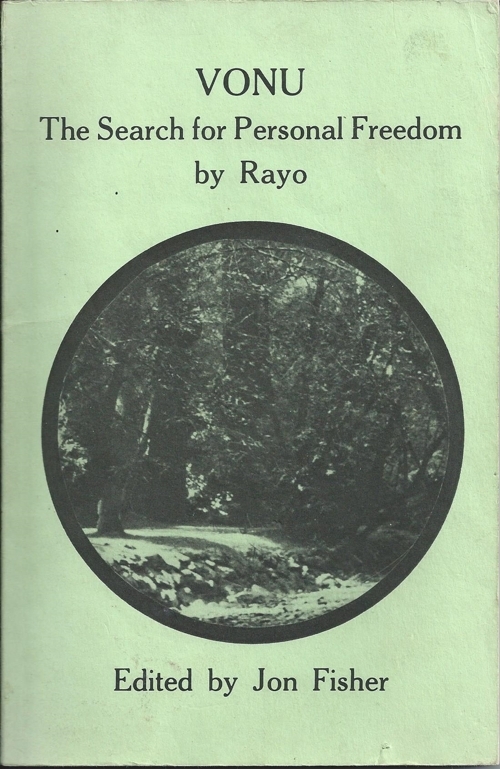 It covers multiple case studies of attempts at founding new libertarian countries in the 1960s and 70s, most inspired by the Free Isles Project, something Rayo was involved in early on. All credit goes to Reason and John L. Snare. No copyright infringement is intended. Several “new country” projects have been making news in recent months. A number of efforts have been initiated to establish communities, resorts, or freeports free of the restrictions imposed by traditional, established governments. All of these face formidable problems from both external and internal sources. Yet at least two of these ventures are not only still alive but showing vigor. The implications of a new libertarian “nation” without coercive government are breath-taking. Such a community, if once established and sustained to the takeoff point, might show economic and social growth never equalled before in history. Such a new community might also become linked to parallel economies in established nations. Floating cities in deep water with little or no problem of conflict with present national territories appear possible; the technology exists, but as usual the major problems are social, political, and economic. A critical factor seems to be getting enough capital and skills into a community to attract large numbers of persons and develop adequate markets; a few families establishing residence in shallow-water structures or in boats would hardly have any significant effect, even if they were free. Two kinds of projects are described herein: those in which freedom is the major goal; and those that are commercial or profit-seeking, in which greater freedom is only a means to greater profit. The latter group is not to be ignored; because of their careful, practical, hardnosed approach, with perhaps less wishful thinking and emotional involvement, they may have a greater chance of success, and one of them may incidentally discover the idea that profits will be greater in a libertarian society. Also, the latter group probably will find financing less difficult than the first group will. Of the ideologically-inspired groups, one is inactive (Preform), another has recently suspended publication of its newsletter (Operation Atlantis), while the third (Mike Oliver’s project) is not only active, but appears to be making a breakthrough. Of the commercially-oriented projects, Taluga appears to be stalled for need of interim financing, while the very recent Tortuga project of Dupont Caribbean, Inc., appears to be moving rapidly, though not without signs of trouble. Preform (also Free Isles) was initiated by some inspired and energetic young persons in Santa Monica and the general Los Angeles area in 1963 and continued actively into 1965. Seeing no hope of the United States becoming truly free any time in the near future, these libertarians set about planning a new country with laissez-faire capitalism. The story is recorded in the PREFORM-INFORM NEWSLETTER, which evolved into the present-day VONULIFE. Tackled problems of establishing a new country. The primary purpose of Preform was to conduct research and formulate plans for attaining the new-country goal. There were numerous meetings, discussions, writings, and reports, with considerable participation but limited funds. Many important and basic problems were tackled; the record shows impressive thought and effort. Presentation tapes were prepared for use in places far from Los Angeles. Factors to be considered in site studies were described, and general areas were considered (sites in or near North America, Central America, northern South America, or the Caribbean). Methods by which territory could be obtained were discussed. Preform noted the advantages of a free society in attracting capital, business, trade, human skills, etc. 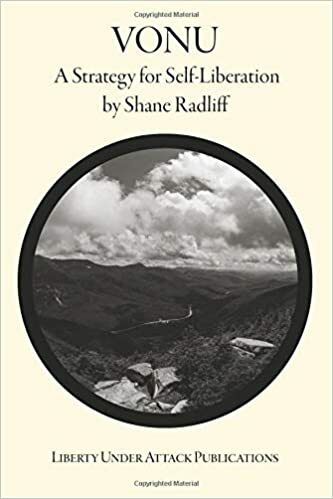 Even assuming virtually no natural resources, resorts and tourism were obvious possibilities; a laissez-faire community would also be attractive for banking, international trade and transportation, marine facilities, medicine, education, and probably many other types of human endeavor. Voluntary constitutional government—The Association of Free Isles (AFI) was to be a voluntary constitutional government, a limited and rather loose association, with no compulsory taxes. There were to be no local governments, although local Isle Development Corporations (IDC) were to develop and provide some facilities and services, such as roads and ports, ordinarily provided by governments. Charters for the IDC’s would originate by contract between entrepreneurs and the AFI. The IDC’s were to be profit-seeking, and each would have exclusive territory. Their organization was a “jusinco” type (Joint user-investor controlled organization); their charters provided for user representation and control to become dominant whenever the rate of profit exceeded a specified figure, in order to offset the possibility that one might take advantage of its monopoly position and charge excessive prices for road-use or other services and facilities. Presumably the users would then reduce rates or increase services; but if profits dropped too low, the balance of power would swing back to the investors. There would be a natural tendency to hold the rate of profit just above the specified figure; the investors would be happy because that would be a higher rate of return than they could get when their control was dominant, and the users would be in control and would be striving for efficiency and lower user rates, but would still try to keep the profits up so they could continue to control the I DC. An I DC might prefer to lease land rather than sell it, in order to secure a continuing source of income for maintaining the facilities it was obligated to provide; also this would provide motivation to maintain the facilities in excellent condition so as to be able to charge higher rents. 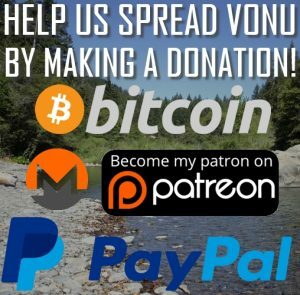 Preform became inactive—The active participants eventually scattered or drifted apart, and the newsletter (now VONULIFE) turned to the problem of attaining freedom by individuals independently rather than in a group. But clearly Preform had an impact on both its participants and others who read and listened, and its aims and ideas may yet be useful to later freedom-seekers. “Operation Atlantis” is an attempt to take direct, positive steps toward an ideal free nation, by stages. The first stage was an interim community of freedom-seekers in America who would have the satisfaction of contact with each other while they acquired the necessary complement of skills and occupations, built up their capital, and made plans for stage two. Stage two was to be an economically viable and self-sustaining community aboard a ship in international waters, while finally stage three would be a permanent community on a small island or new landfill in international waters. Stage one: Saugerties, New York—“Operation Atlantis” is directed by a man using the pen name Warren K. Stevens and is based at the Atlantis Motel (R.D. 5 Box 22A, Saugerties, N.Y. 12477). The 14-unit motel is one mile from Exit 20 on the New York Thruway. A number of persons associated with the Operation part-time or full time have been housed at the motel, earning their room rent by working with the Operation. Stevens published a booklet, THE STORY OF OPERATION ATLANTIS, and started THE ATLANTIS NEWS in 1968 (publication recently suspended). Sunday afternoon “Freedom Forums” are a regular event at the motel, attracting many visitors and a great deal of discussion. Money system established—The foundation for a new private money system was laid with the establishment of ATCOPS, a precursor of the Bank of Atlantis, with silver deposit accounts denominated in decagrams or decas, units of 10 grams of silver .999 fine. The deca caught the fancy of many libertarians, and a recent statement of ATCOPS revealed deposits totalling more than Ð200,000 (about $100,000), paying 3% interest. A limited number of deca coins of sterling silver have been issued, and depositors can use transfer orders, similar to checks, to make payments in decas to other persons. Proprietary community planned—Stevens at first planned a limited government, a kind of voluntary association, but later favored a governmentless society in the form of a proprietary community, with a minimum of behavioral rules incorporated into an explicit, voluntary, mutually-accepted contract with each tenant, franchisee, or employee. The proprietary community, as a private, profit-seeking organization, would own all space rights in the community, and would provide guards and certain other government-type services for the benefit of its community-member customers. Contracts including nonaggression clauses for both parties, with posting of bond and a private arbitration clause for settling disputes, have been used at Atlantis I (the first stage, at the motel). Stevens indicated a desire to contact other libertarian entrepreneurs and coordinate their plans so that they all would contribute to the formation of an economically viable community. Although Stevens had access to some funds, the financing needs for a new island or ocean community would be formidable. Also, the association of a number of independently-financed entrepreneurs would make the new community less dependent on the finances and plans of one man. However, progress in the direction of such parallel planning has been very disappointing. Boat built—Operation Atlantis undertook construction, crew-training, and operation of a 38-foot trawler-type ferrocement boat in 1971. This boat and crew were to survey a prospective shallow-water site for the construction of a “Texas tower” type of base in the Caribbean as the beginning of Atlantis II (the boat was christened Atlantis II). The boat reached the Caribbean in March, 1972, but mechanical trouble caused the crew to leave the boat in the Bahamas and return to New York. Operation Atlantis silent—Operation Atlantis has not failed to attract its share of critics, who took it to task for inadequate planning, busy-work, improper ideology and strategy, in addition to those critics who condemn the concept of “retreatism” in general. As the Atlantis II prepared for the voyage to the Caribbean, Stevens negotiated a 220year lease for a small tract in the freeport area of Tortuga, to be used for a small commercial chemical-mixing plant as well as an interim base while exploring, planning, and starting construction at Atlantis III. However, when the principals in Dupont Caribbean learned of the “new country” plan, they objected strenuously. Stevens subsequently suspended publication of his newsletter, and silence has enveloped Operation Atlantis. Voluntary fees for government—“The Capitalist Country,” with limited government and voluntary payments for governmental services (no taxes, although certain fines or penalties may be compulsory) was planned by Michael Oliver (P. 0. Box 485, Carson City, Nevada 89701). He delineated his ideas in the book, A NEW CONSTITUTION FOR A NEW COUNTRY, 1968, and continued to describe his efforts in an occasional newsletter which began publication in July 1968 when his search for suitable land was launched. Extensive support—Oliver, associated with some impressive names in business and financial circles in America and other countries, expressed surprise at the extent of support for the idea. He stated that he believed his Vanguard Corporation, formed 1 November 1968, with an authorized $10 million capital stock, could raise many millions of dollars in six to 12 months (if SEC requirements did not prevent it). Experienced in real estate development, he has travelled extensively, looking for land with little or no conventional government, or with a small colonial population and weak ties to the parent country that would make future independence easier. Nearly $200,000 has been expended on his New Country efforts, most of this from his own funds. Many places investigated—Land or island areas have been examined and considered in New Caledonia, Turks, Caicos, Curacao, Surinam, French Guiana, and other places in the West Indies and elsewhere. Oliver has made offers to purchase some tracts and has been offered options on other tracts. In November 1968 he made an offer for a tract of 7,000 acres without complete sovereignty. In April 1971 a correspondent reported an offer from the Cabinet of a Central American nation with a stable government of a 41-square-mile island for $3 million, on which autonomous settlement could be made, but upon closer investigation the offer was found to be lacking. In the summer of 1971, Oliver began investigating possible sites in Africa. The search still continues for a land area large enough for hundreds of thousands of persons, with only foreign policy determined by the existing government. Oliver notes that once nationhood is established in one area, it should be easier to acquire territory in other areas with sovereignty, since private individuals alone would be unlikely to get the rule of the former government removed. Tourol settlement attempted—In September 1971, the Tourol property on Santa Maria island in the northern New Hebrides was opened up, with the announcement that it was ready for settlers. The land was surveyed, maps made, and 99-year leases prepared. Then a few days later (2 November 1971) came the chilling message: “The New Hebrides Freedom Settlement Project is dead.…” The British administrator had announced that visitor and immigration permits would be limited to no more than four months. Minerva founded—The search continued. On 19 January 1972, a claim was established on two small coral atolls in the South Pacific, 400 miles south of Fiji. Simple structures were erected, and the “Republic of Minerva” was proclaimed with formal notices to many nations. In March an engineering crew was on site at Minerva. The initial plan was to bring in dredges to build up land behind seawalls at the rate of 0.4 acre per day, with a preliminarily estimated cost of $8,000 to $12,000 per acre. Quarter-acre residential lots with some utilities were to be made available, and the total land area was projected as 10,000 acres. As a result of the engineering survey, however, the dredge-and-fill plan was replaced by a sea-city concept, either floating or constructed on pilings. Excellent fishing in the lagoons is reported, and the atolls contain two natural harbors. Already some light manufacturing firms, as well as banking and financial companies, are showing interest. Minerva is outside the territory claimed by any nation and is not on the continental shelf of any nation or continent. However, a long fight in various courts against the objections of conventional nations in that part of the world can be expected. Provisional government established—A limited-government constitution has been prepared, adapted from Oliver’s book. As church and state were successfully separated a couple centuries ago, Oliver proposes that the next great step is to separate the state and the economy, leaving the state with only the function of protection against force and fraud (although parents may be compelled to provide for the welfare and education of their children). The state itself is barred from using force to collect revenue, since the fees are voluntary, with governmental services withheld from those who choose not to pay. Anarchists not wanted—Oliver has vehemently attacked anarchy, saying it is a form of collectivism and resulted only in a tyranny following that was greater than the one that anarchy replaced. He is fully convinced that the anarcho-capitalist concept is faulty. “Taluga” is a new sea city planned by Cortez Development Corporation (10210 N.E. 8th, Suite 200, Bellevue, Washington) to be constructed in the Pacific Ocean west of Mexico. The Phase I complex is designed to serve a total population of about 90,000, including 18,000 tourists and 3,000 retired residents. This is a commercial undertaking, motivated for profit rather than ideological goals, and includes provisions for an autonomous government. Four basic sectors of the economy are delineated in the plans: the tourist sector, the industry sector, the government sector, and the support and labor force. A brilliantly engineered plan—“Project Taluga” was initially conceived in the mind of Edward M. deSarro, a retired Army engineer who put more than a quarter of a million dollars into development and planning before his death. A search for the best site ended with the selection of Cortes Bank, a sea mount 100 miles west of Mexico and very near the maritime boundary extending seaward from the joint boundary of the United States and Mexico. Cortes Bank is in an area claimed by no government, although the United States has erected a navigational aid there. The bank rises from the deep ocean floor and is not on the continental shelf by any accepted geological or legal definition. The sea mount is an ideal base from an engineering viewpoint, and elaborate and impressive construction plans have been prepared. The Cortes Bank is 120 square miles in area, and the highest point of the sea mount is 12 feet under water. Four land masses are planned, with a total area of 179 acres. However, the land is to be used mainly for parks; the buildings are to be supported from large concrete columns in water, extending down to bedrock. A massive rock seawall, the first thing to be constructed, will protect the land and buildings, with two openings in the wall to allow current flowthrough and entry of ships. A reinforced concrete structure on one seawall will contain retail shops and storage area. A rapid-transit system will transport baggage and passengers about the city. A resort center—The primary activities planned for the city are resort and recreational, with a steady flow of tourists coming by jets which will land on an airstrip atop one of the projected seawalls, with docking facilities for ten passenger and three cargo planes, and also four helicopters. Plans also included, at least at one time, provisions for an ultra-modern hospital with an outstanding staff, and a large full-scholarship university with a world-wide student body. Financing needed—Cortez Development Corporation, formed in 1968 by deSarro, is now headed by Anthony T. Ressa, an attorney who has carefully examined applicable law and who keeps informed on international developments regarding rights in the sea. Professional consulting firms have been engaged in preparing economic and technical projections. But financing such a gigantic undertaking has presented problems; Phase I of the construction was estimated in 1969 to require $350 million. Although a substantial sum has been pledged to the Corporation, it is conditional on satisfactory conclusion of the independent feasibility studies, and the Corporation is still seeking interim financing to complete these studies. Capital requirements for the completed city of some 250,000 persons were once estimated at two billion dollars. Autonomous government—The plans state that a portion of the residents will be government employees, and Phase I includes $19½ million for government buildings. However, one of the main reasons for constructing such a sea city apparently is to escape the disadvantages of the United States, Mexico, and other existing governments. Mr. deSarro indicated the government would consist of two bodies; an upper house, composed of Corporation officers and concerned with major and basic laws, and a lower house, composed of franchisees, local businessmen, and others, which would be concerned with lesser matters. If the Corporation maintains control over the government, the result possibly might be a truly limited government, in effect a porprietary community, and consistent with libertarian morals. On the other hand, if the Corporation, through the government, employs force to regulate, control, and tax residents and visitors in a unilateral and arbitrary manner inconsistent with voluntary contract, libertarians as well as many profit-seeking businessmen will probably find Taluga unattractive and uninteresting except for the physical and economic implications for the construction and operation of other sea cities. A tax-free society—DC (for Dupont Caribbean, Inc.) is a private, profit-seeking company developing a freeport-resort area under a 99-year agreement with Haiti. The freeport will be totally free of taxes, government controls, or regulations. DC is headed by Donald Pierson, former operator of a “pirate” radio station off England, and ex-mayor of Eastland, Texas. DC has rights to develop up to 75% of some 60 square miles comprising the island of Tortuga. Although DC will have controls and regulations of its own, these presumably will be according to voluntary market contracts. Consequently these restrictions can be expected to be designed for economic efficiency, and to be responsive to individual preferences as revealed by market demand, unlike restrictions unilaterally imposed by force under a non-market political process. The planned facilities include a freeport, hotels, second homes, recreational areas, casinos, and light industry. An 8,000-foot airstrip, large enough for big jets, is projected; a 4,000-foot grassed strip big enough for DC-3’s has already been completed. Unified development advantages—The plans show implicit recognition of proprietary community advantages. DC will be encouraged by the profit motive to reduce pollution of air, land, sea, sound waves, and scenery. DC is considering underground electrical transmission lines, carefully routed roads with reduced and restricted traffic, building and development to preserve natural scenic beauty, and integrated facilities for electrical generation and desalination of water and waste disposal systems. Utilities, roads, and other infrastructure now are virtually nonexistent. Most of the 10 to 20 thousand island natives live under very primitive conditions. The island has a network of trails, but only one road, which runs from a shore village back to a Catholic mission on the ridge. However, this absence of facilities has the advantage of providing more options and greater freedom in design, and with its unified community approach, DC has an excellent opportunity to develop an optimum set of community facilities. A 50-room hotel was scheduled for completion early in 1972 (but is behind schedule), with a larger 250-room hotel to be open by the end of the year. Possibly some objectionable features—Licenses must be obtained to operate businesses, and many of these licenses may grant exclusive or monopolistic operating privileges. a market monopoly inspires apprehension in many persons, and DC will indeed have a monopoly within its territory. If the Haitian government adheres strictly to a laissez-faire policy in regard to all activity within the territory leased to DC, an operation could develop that would be virtually identical to a libertarian proprietary community. But the line between a monopoly based strictly on private property rights and voluntary contracts, on the one hand, and a monopoly supported by governmental force, on the other hand, may be very thin, a proverbial razor’s edge. Also, one libertarian proprietary community alone may prove less advantageous to its customers than many proprietary communities competing with each other for business. Phase I of DC’s development plans call for “government buildings” in the harbor town. There is no indication of what kind of governmental activities there will be, or how the money will be raised to finance them. The development of the agreement with Haiti involved an ex-ambassador of Haiti, and his nephew who was a favorite of “Papa Doc” Duvalier. After the death of “Papa Doc,” some rumblings of discontent with the arrangement arose, with claims that Duvalier had “given away too much.” DC gave 10 million shares of its stock to the Haitian government, which will give it a financial interest in the success of DC, if the Haitians do not sell it. Some officials have expressed concern about the danger of smuggling from Tortuga into Haiti, only 4 miles away, or other abuse by persons associated with DC. A thriving capitalist operation within its own national territory may be a tempting target to rulers of a nation with an unbelievably low income. But still some possibilities—Despite the risks, DC appears to have some libertarian possibilities, and it will be interesting to follow its development. Something can certainly be learned from DC’s efforts. In view of the considerable problems encountered by all of these projects, my own view is that the odds appear to be against a successful libertarian community being established by any of them in the near future. Yet a tiny chance of success may still exist for one of these projects or others that may be launched in the future. The educationists, activists, and other libertarian camps are having their own problems trying to get the almost-extinct flower of freedom to grow, and it would seem libertarian to be tolerant of the ideas and efforts of persons seeking freedom and profit in ways different from our own. John Snare is an associate professor of economics at a West Virginia college. He received the B.S. and M.S. degrees from the University of Georgia, and the M.A. and Ph.D. in economics from Duke university. THE ATLANTIS NEWS (newsletter). Saugerties, New York: Atlantis Publishing Co., 1968-1972. Bramble, Oakley R. (2 newsletters, 7 September and 2 November 1971). Constitutional Alliance, Inc., P. O. Box 836, Lansing, Michigan 48904. THE CAPITALIST COUNTRY NEWSLETTER (later named THE M. OLIVER NEWSLETTER). Issued occasionally, 1968 on. P. O. Box 485, Carson City, Nevada 89701. Forbis, John, “A Nation, From Pacific Depths.” SAN FRANCISCO EXAMINER, 5 March 1972, p.1. Lax, Al, Vivienne Jackson, and Don Stephens, “Economic Potential of Preform’s ‘Free Isles’.” INNOVATOR, March 1965. Oliver, M. A NEW CONSTITUTION FOR A NEW COUNTRY. Reno, Nevada: Fine Arts Press, 1968. Penn, Stanley, “Can a Poor Little Island With One Road Become A Tourist Haven? . . .” THE WALL STREET JOURNAL, 21 December 1971, p.22. ___________ “U. S. Promoter Hits Snags in Plan to Make Tiny Tortuga Island of Haiti Into a Resort.” THE WALL STREET JOURNAL, 12 April 1972. PREFORM-INFORM (newsletters) and other “Free Isle” papers. Various dates 1963-1965. Available from VONU-LIFE, Box 458, Cave Junction, Oregon 97523. Ressa, Anthony T., “A Plan for an Island State.” PACEM IN MARIBUS; A Center Occasional Paper (Center for the Study of Democratic Institutions), Vol. II, No. 4, June 1970. 00.50-57. Stevens, Warren K., THE STORY OF OPERATION ATLANTIS. Saugerties, New York: Atlantis Publishing Co., 1968. TORTUGA; also PRELIMINARY PLANNING REPORT. (2 full-color brochures). Dupont Caribbean, Inc., Dallas, Texas.